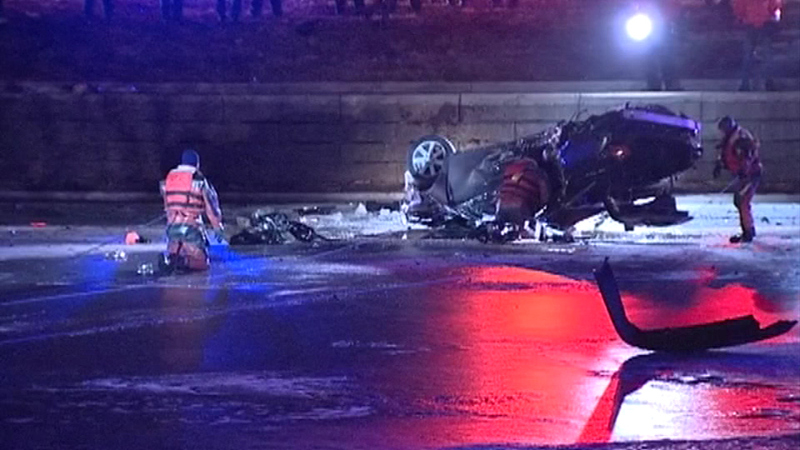 CHICAGO (WLS) -- Rafael Rodriguez, 42, was charged in a fatal crash where his vehicle veered off Lake Shore Drive and landed on a frozen lagoon near Lincoln Park Zoo. Claudia Beruben, 37, was killed in the wreck. Rodriguez, of the 3900-block of North Ashland Avenue, was charged with aggravated DUI resulting in death, misdemeanor DUI, driving on a suspended license and driving without a license. He was cited for failure to reduce speed and failure to stay in lanes. Rodriguez remains hospitalized at Advocate Illinois Masonic Medical Center in police custody. Police said Rodriguez was speeding on southbound Lake Shore Drive around 1:40 a.m. Monday when he lost control of his vehicle near Lincoln Park Zoo. The car struck a guard rail and a tree before it flipped upside down and crashed onto the ice. 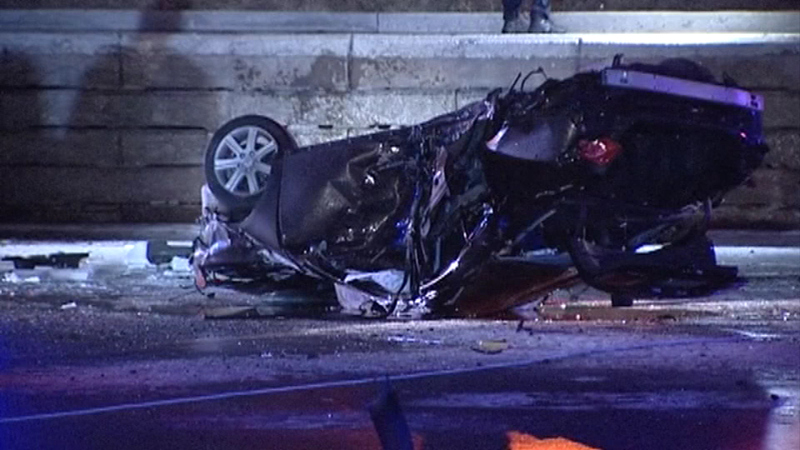 A car veered off Lake Shore Drive and crashed onto the frozen lagoon near the Lincoln Park Zoo early Monday morning. Chicago firefighters crawled out onto the ice to rescue two people inside the crushed car. Beruben was riding in the vehicle with Rodriguez. She was taken to Illinois Masonic, where she later died. She was the single mother of a 3-year-old girl. Beruben's family set up a fundraising page for her daughter. The little girl still does not know her mother was killed. Claudia Beruben, a 37-year-old single mother, was killed when the vehicle she was riding in veered off Lake Shore Drive and flipped over early Monday morning.